1. Q. What is a Lightbox? How is it used? A. A lightbox is a folder that allows you to organize digital photos. Photos can be placed in a lightbox by subject, for later convenience, or used to compile unrelated photos for a specific project layout. Lightboxes also allow you to show clients options for a project in one simple uncluttered folder. Note: this is an optional tool that is not required as part of the ordering process. 2. Q. Where can I find a list of Boeing products? A. Boeing has three online references for our current and historical products. 3. Q. I submitted my order. What happens now? A. Once we receive your order, we notify the appropriate program focals for review and approval. This could take up to 48 hours. When approved, you will receive an email notice containing a link to complete your order and download the files. 4. Q. I don’t see any prices associated with the images available. How do I find out how much an image will cost? A. You can get a price estimate by placing the image in your cart. The price for an image is calculated based on the usage criteria entered. Note: Having the image in your cart does not mean that you have placed an order. 5. Q. How do I create an account? A. Click on the Login/Register button in the upper right corner of the home page. Input the fields required, click Submit and your account will be created. 6. Q. I can’t find the product or image I’m looking for. What do I do? 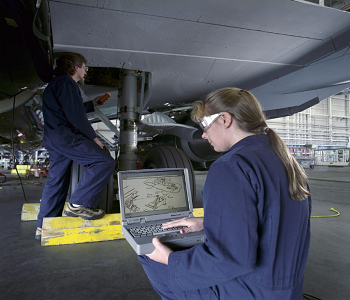 A. Click the Research Services link to order imagery that is not currently available on the Boeing Images website. 7. Q. I want to use the same image for different purposes. Is there a way to do that? First, add the image to your cart. Next, go to your cart and navigate to the image that you would like to duplicate. At the bottom of the form that corresponds with the image, click on the “Duplicate This Item For Different Usage Request” link. Clicking on this link will create a new form with the same image directly below the original image. Note: You may click the duplicate link as many times as you need, and each time, a new blank form will appear. Finally, complete the first form, along with the additional forms for separate uses. 8. Q. I want to use multiple images for the same purpose (literally all attributes are the same). Do I have to fill out every single usage individually? First, please go to your cart. Fill out the usage for the first image according to your needs. Ensure that everything is correct. Next, scroll down to the bottom of the usage information for the image and click on "Copy The Above Usage To All Items in The Cart." This will copy all of the relevant information to the rest of the images in your cart so that you do not need to enter the same information multiple times. 9. Q. I copied all of the usage information to each image in my cart using the instructions above. I just noticed that there are some corrections that need to be made. Can I make these corrections without having to go back through each image? A. Yes, you can. Simply make your changes on one image, and click the "Copy The Above Usage To All Items in The Cart." Your changes will be displayed for each image after the system updates your data accordingly. 10. Q. What information am I supposed to enter in the Notes/Caption field in the cart? A. Please enter any relevant notes or captions that will be placed with the image in your final product. For example, if you are including your photo in a magazine, newspaper, or book, please include the verbiage that accompanies the photo layout. Or, if you are producing a calendar or poster (under the “Products” category), you might place a description along with the image in the final product. 11. Q. What methods of payment do you accept? A. Payment by credit card is the preferred and default method. If it is necessary for you to pay by invoice or wire transfer, please Contact Us to indicate the alternate method of payment needed. 12. Q. My use of Boeing photographs is related to an activity that is sponsored by Boeing. Do I still have to pay for the use of Boeing photographs? A. If you have a contact at Boeing who is sponsoring your activity, please identify this person in your image order. You may also ask your Boeing contact to reach out to our team at ImageLicensing@boeing.com to verify the business relationship. 13. Q. Why are your licensing fees not listed up front in your website? A. Our fees are based on the actual use of the images. You must enter the use terms to see what the license fee will be. You may choose to revise the terms of your use and recalculate the license fee, or cancel all or part of your order prior to submittal. 14. Q. Is there any way I can have the license fee reduced? A. If you think you have a special circumstance or business relationship that would warrant a license fee reduction, please feel free to identify your situation in the “Notes” text field of your order. 15. Q. I’m not sure if my use is commercial or not, how can I clarify this? A. Please contact ImageLicensing@boeing.com with a description of your planned use. 16. Q. I&apos;m just using the photo for wallpaper on my computer, do I have to pay? A. There are many wallpapers available from the Boeing.com website for free download. Search the tern "wallpaper" to find them. 17. Q. I am writing a personal history of my family and will publish less than 100 copies for my family and friends. Do I need a copyright license for this purpose? Do I have to pay a license fee? A. Yes, you need a copyright license. Yes, there will be a license fee for the use, but it will be less than a professionally published book. 18. Q. I am writing a book for publication, but I don&apos;t have a publisher yet. May I license the photos for personal use? Do I have to pay you more later when the book has a contract for publication? A. No, we do not provide personal use license agreements. You may confirm availability of a photo for your book, but you must obtain a license for use in a published book. There will be associated fees, depending on the distribution, etc. of the book. 19. Q. I want to use your photos on my personal website. Do I need a copyright license to do this? A. Yes, because you are distributing the photo around the world, a copyright license and appropriate credit for the photo are needed. This is not personal use, even though your website is not a commercial website. 20. Q. I want to use a Boeing Image on my Facebook Page or other form of social media, is this permitted? A. Please go to the Boeing Twitter page to find images that are approved for personal social media use. 21. Q. I’m a blog owner and my site is non-commercial. Can I use images for free? A. In most cases, no. Unless your use is permitted by copyright law, all the images on your website must be licensed with permission granted, regardless of the nature of your site. If you are unsure please just ask us. 22. Q. I’m a Boeing employee who would like to use an image for an internal or personal use. Is this permitted? A. Boeing Images licenses the external commercial use of company photos and video. Boeing employees are welcome to browse our website and identify photos to use for company purposes. You may order those images from Photo Services via their COBS site. 1. Q. Can Boeing Images content be used for editorial purposes? A. Credentialed media requests are handled via the Boeing Media Room. 1. Q. I&apos;m a non-profit organization and don&apos;t expect to make money on my use of your photos. Do I still need to pay for a copyright license? A. If you feel you have special circumstances that require consideration, please identify them in the description field of your order. Your request will be reviewed and a response will be provided. 1. Q. I’m a student. Can I use these photos for a personal research project for educational purposes? A. All Boeing copyrighted images on the www.boeing.com website are available to you as long as you credit the photos to The Boeing Company using the copyright legend © Boeing. 2. Q. I’m a school teacher. Can I use Boeing photos for classroom display, lesson plan supplements, or special projects? A. All Boeing copyrighted images on the www.boeing.com website are available to you as long as you credit the photos and/or text to The Boeing Company. We do not allow the use of the Boeing trademark logo, but we do allow individuals to include "The Boeing Company" as a text element. The preferred font is Helvetica. 1. Q. I’m a Boeing employee. Can I use these photos for internal or personal projects? A. Boeing employees are welcome to browse our website and identify photos to use for company purposes. You may order those images from Photo Services via their FootPrints site: https://footprintsuser.web.boeing.com/WSSO_FP/FP_Prod/FP_Prod.cfm?PROJECTID=SSG_CS_BASIC. Be sure to use the Boeing ID number of the photo (indicated in parentheses) on the form, not the BI number. Personal use is prohibited. 2. Q. I’m a Boeing employee. Can I use these photos for projects outside of Boeing? A. Boeing Images licenses the external commercial use of company photos and videos. 3. Q. I’m a Boeing employee. Can I purchase framed prints for a discount? A. Boeing employees can purchase framed prints for personal use, however there are no discounts available at this time. Framed prints for use as Boeing office décor are delivered by the Boeing Creative and Information Services (C&IS) Framing Services site: http://creative.web.boeing.com/services/framing.cfm.